A year ago, I went to Washington DC for the Easter long week-end. 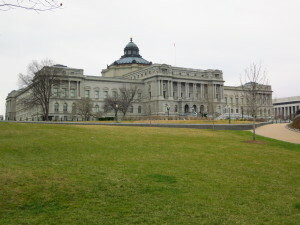 As a book lover, I had no choice but to visit the Library of Congress, and I thought I would share some pictures with you. 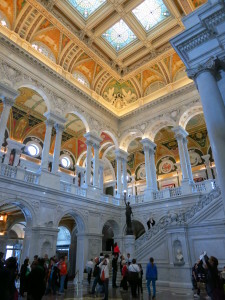 The Jefferson Building was stunning, with its white marble columns and floor, and its colorful frescoes on the ceiling. The Main Reading Room was also impressive, its domed ceiling soaring 160 feet above the ground. It reminded me of a key scene in The Lost Symbol by Dan Brown where Robert Langdon escapes his pursuers in this very room. You might also have seen the reading room in the movie National Treasure 2 with Nicholas Cage. 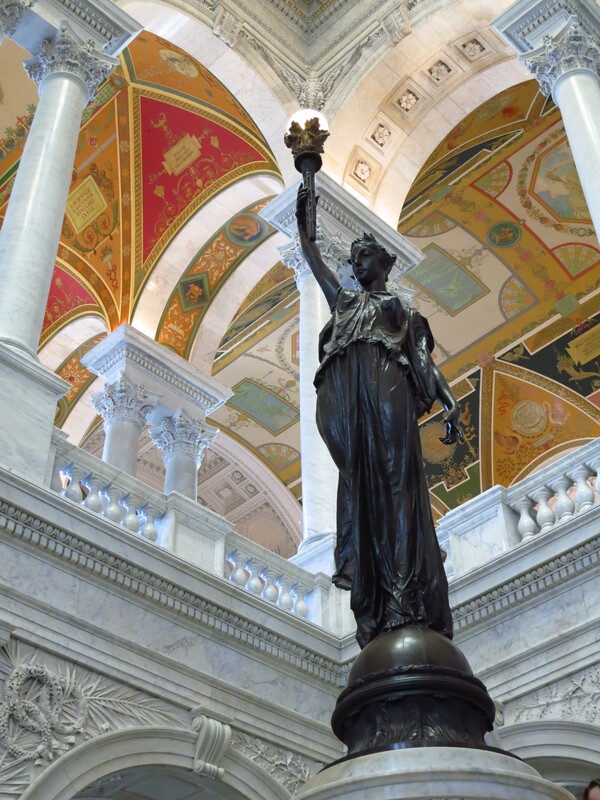 The Library of Congress has a collection of more than 150 million items, including books, sound recordings, photographs, maps and so much more. It was created in 1800 by President John Adams, but the library burnt down in August 1814. 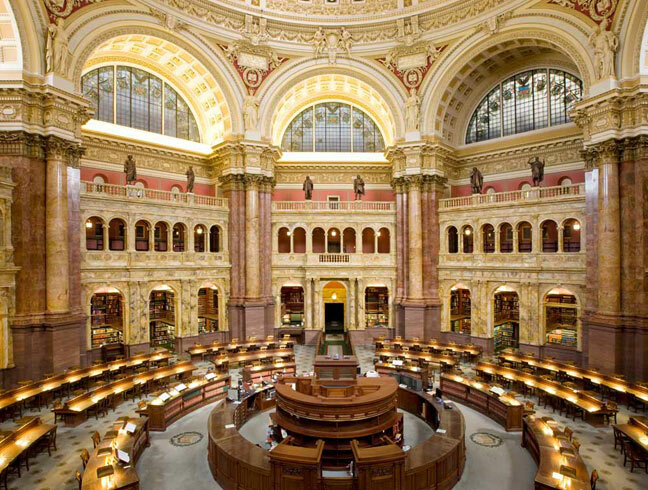 President Thomas Jefferson offered his personal collection of 6,487 books as a replacement in 1815. You can read some other interesting facts about the Library of Congress on the Novel Destinations blog. In the future, I will share more pictures of libraries and bookstores I visit during my travels. Have you ever been to Washington DC and seen the Library of Congress? I love visiting libraries around the world! Especially if they have historical significance. I will talk about other libraries in the future, so stay tuned!